Beginning this month we now offer two different optional floor stands for use with our Yoke and Pedestal mounts. 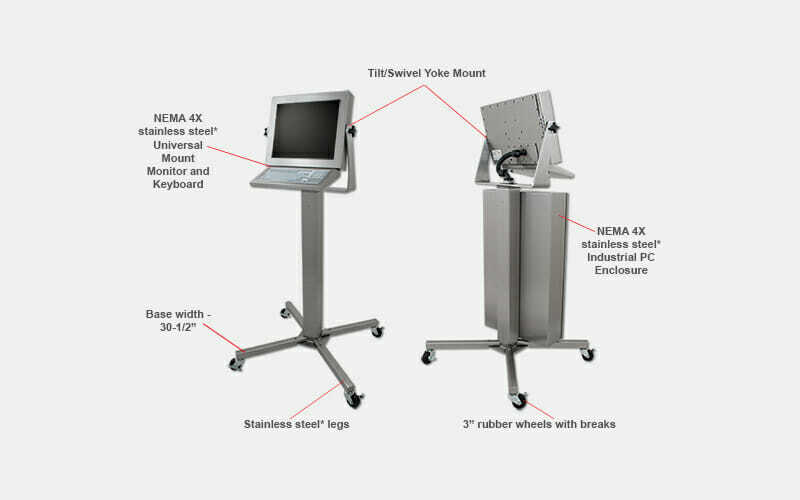 Available with either locking casters with durable 3” wheels or with adjustable leveling feet, these floor stand kits can be used with any of our 4” x 4” pedestals, and can even be used to retrofit existing pedestals for free-standing use. Both floor stand models are available in either stainless or black powder-coated carbon steel to match our existing pedestal base options. 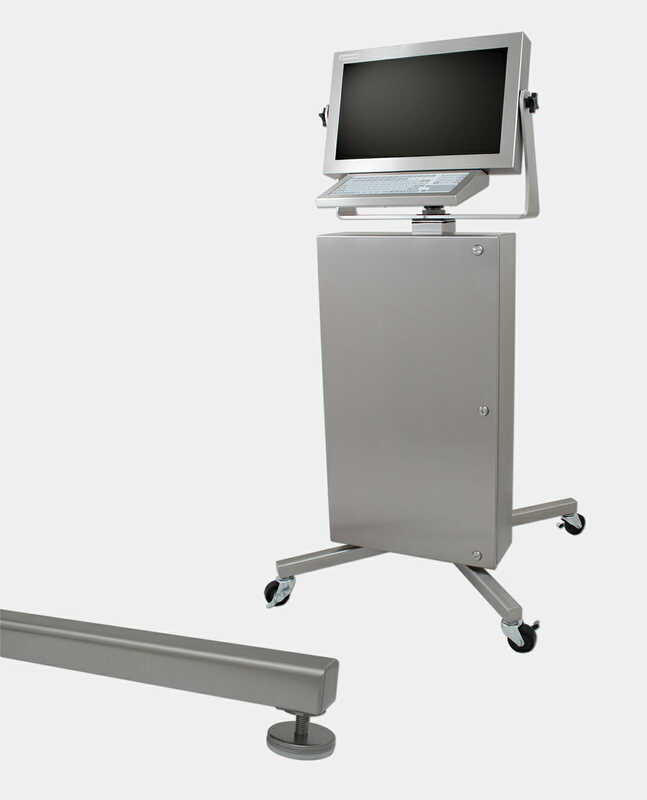 A base width of 30.5” (775mm) allows the rolling floor stand option to easily pass through a standard doorway. These floor stands attach and remove easily using 4 stainless steel bolts which allows the stand to be collapsed for shipping.